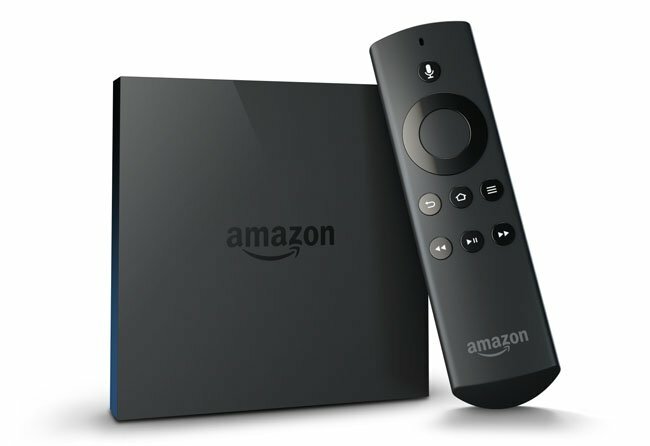 Review Amazon has made its Fire TV video streaming device available in the UK; an inexpensive set-top box that runs the company’s de-Googled version of Android, as also found in the Fire Phone. Confusing matters, Amazon also offers the Fire TV Stick. This will be available on November 19, but only in the US. The Stick has the same OS, but is a smaller device that plugs directly into an HDMI socket, like Google’s Chromecast device and the Roku Streaming Stick. What’s the difference? The Stick is less than half the price (currently $39 versus $84 in the US), comes with a standard rather than a voice-enabled remote (though it is a compatible extra) and you can control it through an app. It also has lower-spec hardware. In short, the Stick is less powerful but depending on how you use it you might not care, and lacks the voice remote that comes with Fire TV. This is a review of the Fire TV though. What you get is a 115mm x 115mm x 17.5mm box with a power supply and a remote; batteries for the remote are included but not an HDMI cable. That might surprise some but margins are margins. Grab a cable from somewhere, attach to a TV, run the setup to connect to Wi-Fi (and, of course, your Amazon account) and you are up and running. Fire TV supports video resolutions up to 1080p at 60fps (frames per second). Audio supports Dolby Digital Plus stereo or 5.1 output over HDMI or optical, or HDMI audio pass through up to 7.1 channels. Fire TV is a standalone device; all you need is an internet connection. Once connected, you operate a simple menu with the remote, with options including Prime Video, Movies, TV, Games, Apps, Music, Photos and settings. Incidentally, the TV side of things isn’t live TV but rather TV-sourced content. The purpose of Fire TV – which an Amazon exec told me is sold at hardly any profit – is to hook you into Prime, a service which offers free streaming of “more than 15,000 titles” and faster delivery on Amazon purchases, for an annual subscription of £79, which just so happens to be the same price as the Fire TV in the UK. Still, you don’t need to have a Prime subscription to use the Fire TV. There are apps for BBC iPlayer, Netflix, TuneIn Radio, and more that give you access to a wide range of content. The YouTube “app” is actually a link to a TV-optimised YouTube site and works well. It also features control from a mobile device or laptop via a PIN setup.